The deportation of 14 Taiwanese suspected of fraud to the Peoples Republic of China by the Philippine governement once again brings to the forefront that some countries seem to disregard Taiwanese sovereignty in order to please Beijing. 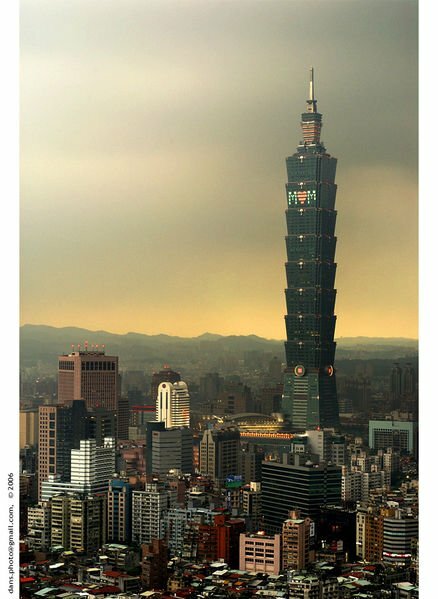 Taiwan’s response to the Philippines’ recent deportation of 14 Taiwanese to China sent a message to Manila to “take Taiwan seriously” on the diplomatic front, Minister of Foreign Affairs Timothy Yang (楊進添) said yesterday [8 February 2011]. The Ministry of Foreign Affairs (MOFA) announced on Monday [7 February 2011] that it would recall Representative to Manila Donald Lee (李傳通) and would implement stricter screening of applications by Philippine nationals seeking to work in Taiwan. The measures were announced after the Philippines ignored Taiwan’s requests and deported 14 Taiwanese suspected of fraud to China on Feb. 2. The Taiwanese, along with 10 Chinese suspects, were arrested in the Philippines in December on charges of cross-border fraud directed at Chinese nationals. “The impact of these measures may be limited, but we’re sending a strong message to the Philippines that it should take Taiwan seriously,” Yang said. The office added that it “deeply regrets” the involvement of -Taiwanese in the case. However, Yang said that while Taiwan recognized the “goodwill and regret” in the MECO statement, the Philippines had damaged relations with Taiwan because of its handling of the case. The fact that the Philippines did not offer Taiwan direct communications channels to relevant government agencies, such as the Philippines’ Department of Foreign Affairs and Department of Justice, throughout the incident was “unacceptable,” Yang said. “All we could do was to communicate through the MECO, and that was not enough,” he said. Yang said Philippine authorities refused to grant Taiwanese officials access to a meeting on Tuesday last week [1 February 2011] to discuss the deportation issue, and failed to inform the Taiwanese side of the results of another closed-door meeting until the afternoon of Wednesday last week [3 February 2011], when the Taiwanese suspects had already been deported. Taiwan welcomed the Philippines’ offer in its statement to establish a mechanism to avoid such incidents in the future, Yang said. Although President Ma Ying-jeou’s (馬英九) administration said it had sent a strong message to the Philippines, lawmakers across party lines panned the government’s response as being too weak and not proactive enough. Democratic Progressive Party (DPP) Chairperson Tsai Ing-wen (蔡英文) yesterday [8 February 2011] said the incident was the biggest diplomatic setback of Ma’s term in office. The Ma government, in order to please China, has belittled and limited Taiwan’s sovereignty and identity, thereby eroding Taiwan’s international status, she said. “Every time the Ma government runs into a dispute with China, it never shows determination to protect the country’s sovereignty and interests,” she said. The government’s policies confused other countries about Taiwan’s relations with China. Moreover, Taiwan’s diplomats are also confused about Taiwan’s relationship with China — is Beijing a rival or a friend, Tsai said. At a separate setting, Mainland Affairs Council (MAC) -Chairwoman Lai Shin-yuan (賴幸媛) said she did not expect China to respond to Taiwan’s request regarding the 14 Taiwanese until Chinese officials return to work today [9 February 2011] after the Lunar New Year holiday. The council had asked the Straits Exchange Foundation to contact its Chinese counterpart, the Association for Relations Across the Taiwan Strait, soon after the Taiwanese were deported to China, she said.